Number 18 in a portfolio of 47 loose works. 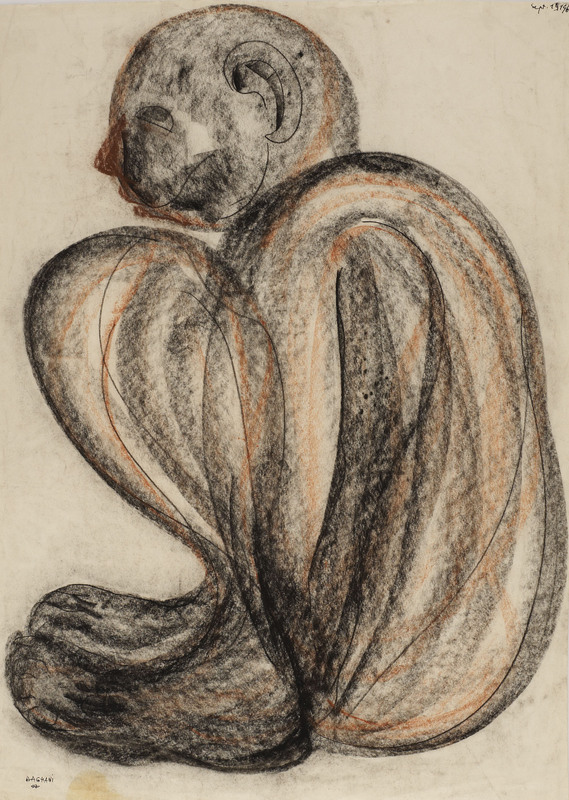 Economic with both materials and space, Daghani folds his crouching figure, seen in profile, into the confines of his page. He uses sweeping gestures to enclose the rounded form, while a dab of pastel defines the nose; a swirl of pencil the ear.